In case you haven’t noticed, society has a bit of an obsession with staring at screens. Smart phones. Laptops. TVs. Tablets. There’s something alluring about all those pixels. Problem is, like most addictions, there are repercussions. And they ain’t good. All artificial light, including LEDs, fluorescent bulbs and incandescent bulbs, can interrupt normal sleep patterns. Ever go to sleep with a banging headache or sore eyes? There’s likely a very simple explanation. The body’s biological clock works in repetitions that are set by the amount of light and dark the body is exposed to. Referred to as one’s circadian rhythm, this internal clock controls the timing of many physiological processes, including sleep and feeding patterns, brain activity, hormone production and cell regeneration. Similar in appearance to ultraviolet light and visible on the light spectrum, blue light comprises of wavelengths that range from 400nm to 500nm. Found in an array of digital devices, the proliferation of electronics with screens, as well as energy-efficient lighting, is increasing our exposure to blue wavelengths, especially after the sun dips beneath the horizon. This bluelight thing is a little frightening hey? I thought so too. Given my job requires me to sit and stare at a screen for roughly 7 hours a day I got to the point where I was convinced I needed glasses. Turns out I didn’t. Well not prescription lenses anyway. After some research into bluelight exposure, I landed on EXYRA lenses and frames. 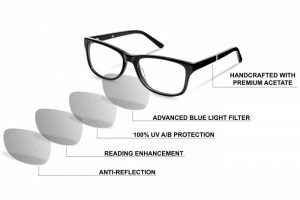 Its lens technology is made using a photochromic dye that absorbs and blocks blue light from entering the retina (watch video here). 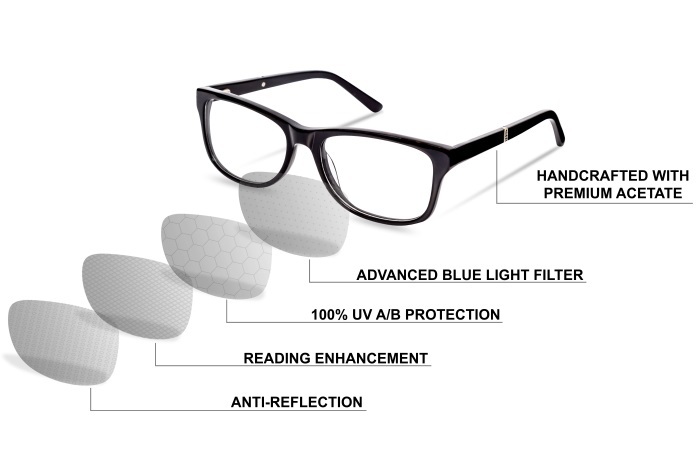 Maintaining true colour perception, EXYRA’s scratch-resistant lenses offer UV A/B protection while also reducing glare. And the cool thing in my particular case is they come in both prescription and non-description versions. So what’s it done for my eyes you ask. Well, the first couple of days it gave me slight headaches, and I was ready to ditch them, but after chatting to a couple of spectacle wearing mates, I discovered that was pretty normal. After weeks of wearing these puppies I definitely feel less strain on the eyes and my partner will well and truly attest to the fact that I’m sleeping like a champ. She can’t get to sleep before I’m snoring (quietly of course) within a couple minutes of my head hitting the pillow. 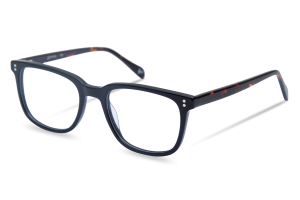 For the style conscious, there’s a bunch of good looking frames available too. Assembled in Brisbane and available globally in prescription (single vision lenses only) and non-prescription styles, EXRYA glasses retail from $98 and can be purchased online at: www.exyra.com.au .